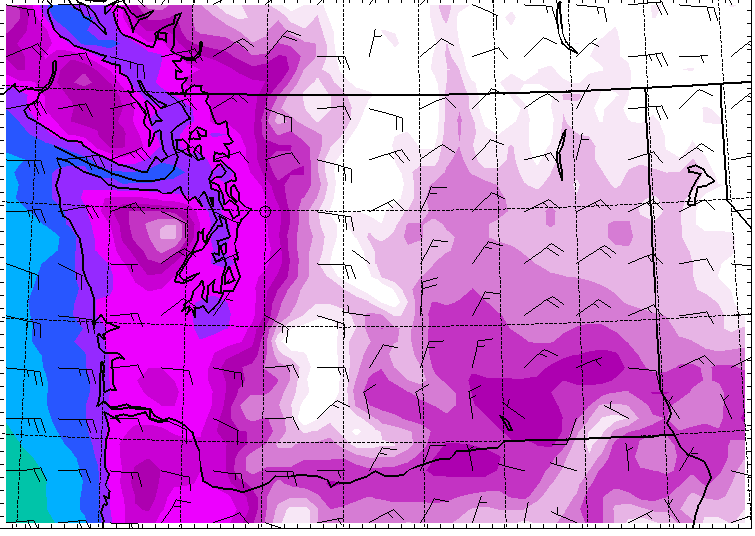 February isn’t usually a month filled with snowy possibilities, but this year could potentially prove otherwise as a very cold air mass from Canada is spilling into the Puget Sound basin as we speak, setting the stage for a pretty messy wintry transitional period this weekend. Alas, there isn’t a warm spot to be found in the Northwest. 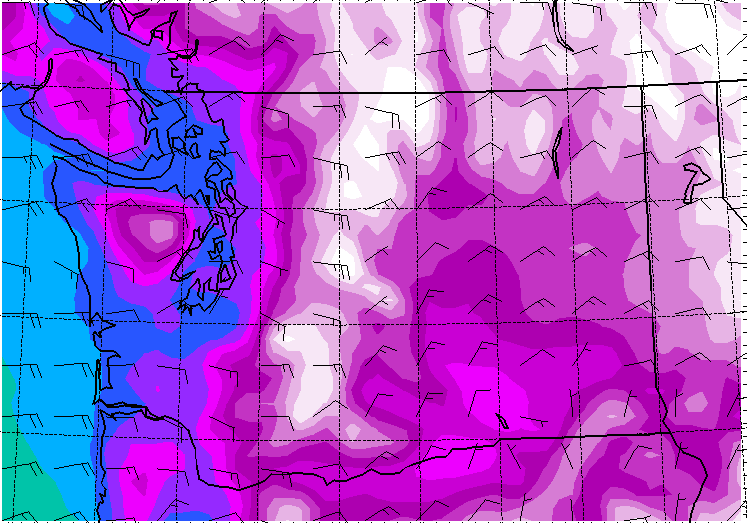 Literally every community in Washington State will be caught anywhere between the single digits to low 20s Wednesday morning. Although this model may be overdoing it in the cold department, it is reasonable to suppose high temperatures may struggle to reach freezing over the next couple of days as that cold Canadian air becomes fully entrenched. What you are seeing is about 1/2-1″ of snow for much of the peninsula, with perhaps as much as 2″ closer to Mason County. These snow totals have been all over the place, though, with one model advertising nearly 4″ near the Hood Canal. At this point, I believe it is safe to say that seeing some snowflakes this weekend is a good bet, but just how much is still up in the air. The long range looks pretty seasonable at this point, with high temperatures getting closer to 50 degrees by early next week. Enjoy the cold and dry weather if you can! 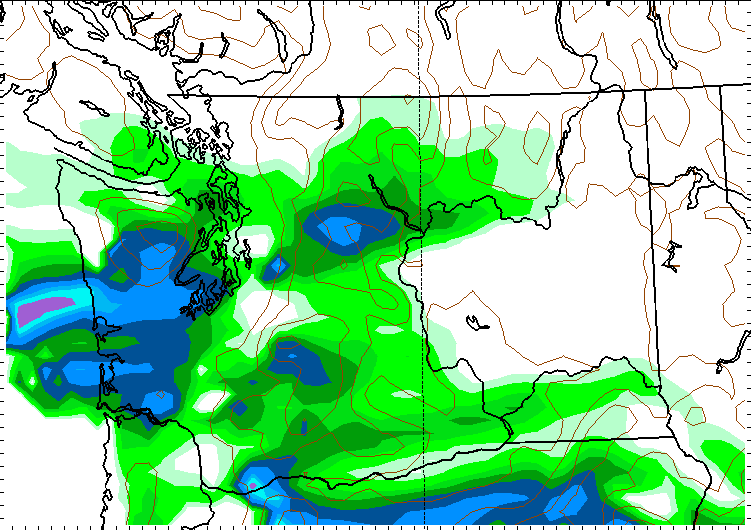 Stay tuned to the Forecasting Kitsap blog for more updates as they come. Darn, find myself in Florida this week missing the adventure that has become Forecasting Kitsap. Nonetheless, I will be following from afar. No worries. Stay safe. What a week to miss out on the weather! We are tracking the potential for some snow this evening (Saturday) into tomorrow, but it doesn’t look like too much. Maybe a trace to 2″.